For many companies, ADA compliance is all about wheelchair ramps and restroom doors, but now ADA compliance has also become a digital issue. Businesses who fall under ADA rules must also provide accessibility for their websites to all users, whether they are accessing the web from a desktop computer or a specialty device. 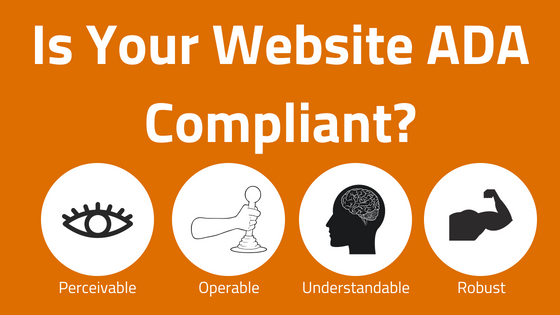 So how does your website stack up when it comes to ADA compliance? What Does Website ADA Compliance Look Like? 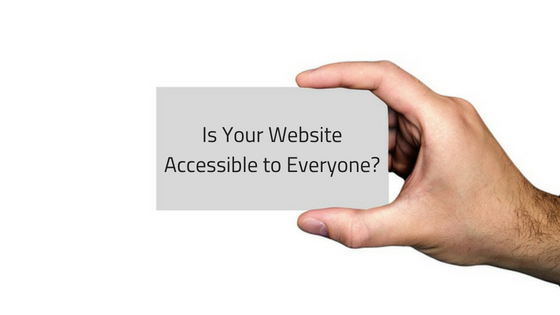 The first thing you need to consider is what disabilities exist in the world, and how your website may be helping or hindering individuals with those disabilities when using your website. This can include visual, hearing and other physical disabilities that may limit movement. Everything from the color of your text to the styling of your menu can have huge implications for those who struggle with disabilities. 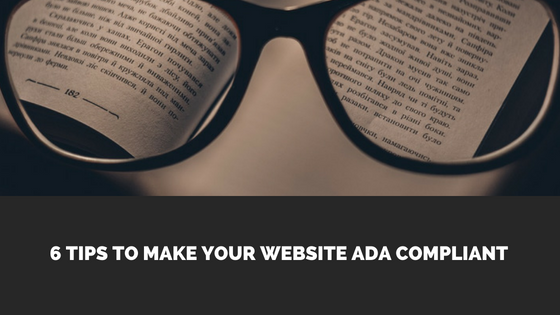 ADA compliance means that users of all types will have the ability to easily move about your site with minimal effort, and have a good experience without missing information or difficult transitions. Perceivable - All information must be available to users in a manner that they can perceive, whether directly or through the use of an accessibility device. This includes making text large enough to read, making text and background colors contrast so that words stand out, as well as adding alt tags to images so that they can be described, and creating multiple CAPTCHA options for users with different needs. Operable - This element ensures that all users can use and navigate the site simply, typically with only the use of a keyboard. It also means that users should be able to quickly and easily navigate to specific sections using headers and titles that are accurate and direct. Understandable - Understandability of your website has less to do with content than with the actual flow of your site. A site is considered understandable if all navigation and empty fields are clearly labeled, navigation remains consistent across all pages, and confirmation is received when submitting any form. Robust - A robust site is one that functions equally well across a wide range of devices including non-traditional devices. This means that screen readers and other accessibility software are able to easily translate the page into a useable format specific to the individual without losing the function and content. Most notably, this means that code must have the requisite start and end tags, as well as important markers that allow the user to move throughout the site. While these four elements may seem simple enough, it is easy to miss some minor elements along the way. In preparation of 2018's new regulations regarding website ADA compliance, fresh guidelines have been published to help web creators meet the standards. In addition, companies can hire ADA compliance scanning companies who offer regular audits to ensure compliance, and provide helpful feedback reports detailing any changes that need to be made. An audit must be done whenever content is changed or the site may fall out of compliance, even if only on one page. It is important for companies of all sizes to start thinking about ADA compliance sooner rather than later. 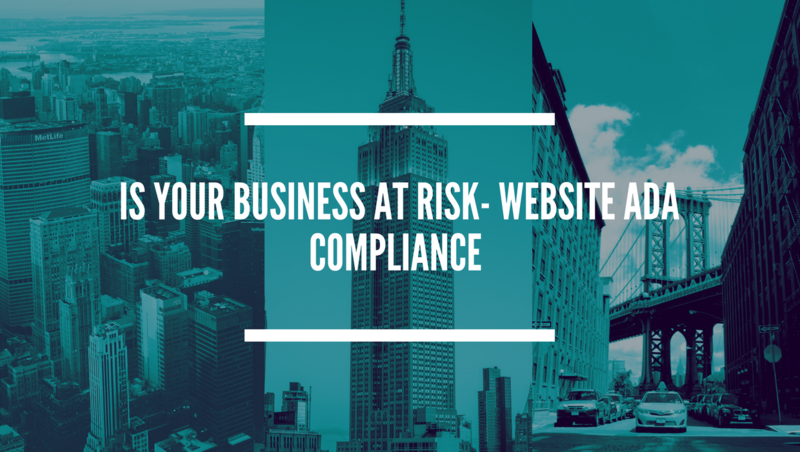 Creating an ADA compliant site can be very easy if you plan ahead properly, and turn to a qualified web designer who knows the ins and outs of the compliance guidelines. 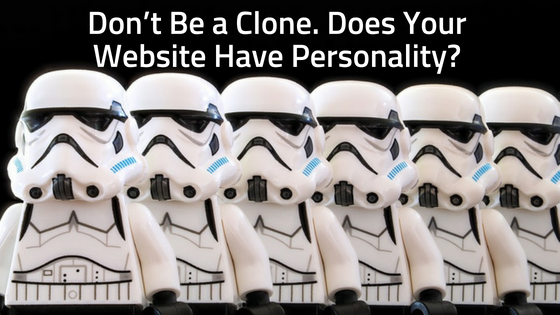 Your customers will thank you for going the extra mile to make your site accessible to them.